Footwear Today is the UK’s oldest independent trade brand for the footwear industry. Our website, print and digital publications cover everything that footwear buyers need – from industry news and opinion to product information, reviews of the latest footwear and fashion trends. The Footwear Industry Awards celebrate outstanding performance in this sector. Innovative Electrical Retailing is the leading source of business, market and product information for retailers and suppliers in the electrical trade. Keep up to date with developments in consumer electronics, major domestic appliances and small appliances on our website and in our monthly print and digital publications,. 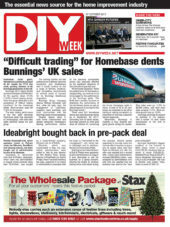 DIY Week – the key media brand for the DIY market. 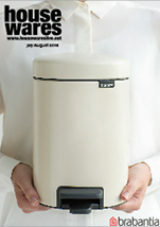 It embraces a fortnightly magazine, a news-led website, a weekly online newsletter, and the annual DIY Week Awards. DIY Week also embraces Hardware & Garden Review, a quarterly magazine solely for independent hardware and garden retailers; and the annual Leaders issues, providing exclusive financial analysis of the market’s leading players. Housewares – the UK’s first B2B magazine dedicated to housewares retailers and their suppliers, and still the market’s only title with an ABC audited circulation. The Housewares brand also embraces a news-led website, a weekly online newsletter, and the annual Housewares Conference and Innovation Awards. 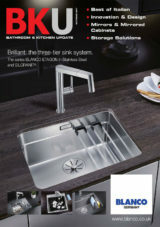 Launched in September 1994, BKU is the only true product magazine in the bathroom and kitchen marketplace. 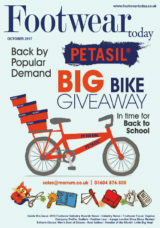 Both print and digital versions are produced each month giving readers immediate access to the advertiser’s products. 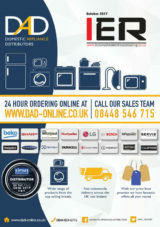 BKU is a one-stop resource to a comprehensive range of products and services through its pages and website. Garden Centre Update is the monthly magazine for garden centres and nurseries. At the forefront in coverage of the latest products and services, it reaches buyers from independent and multiple garden centres and nurseries throughout the UK. GCU is available in both printed and digital format. 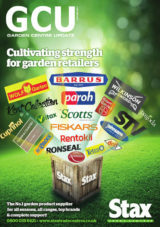 The digital issue appears on the publication’s website www.gardencentreupdate.com during the relevant month and is then archived for easy retrieval.